We kicked off Janauary 2018 with author and speaker the Honorable Marie Corbett and her book January, A Woman Judge’s Season of Disillusion. She walked us through her confrontation of the limitations of the criminal justice system. It was very enlightening since Marie knows what she is talking about! She is a retired superior court trial judge whose legal career spanned thirty years. 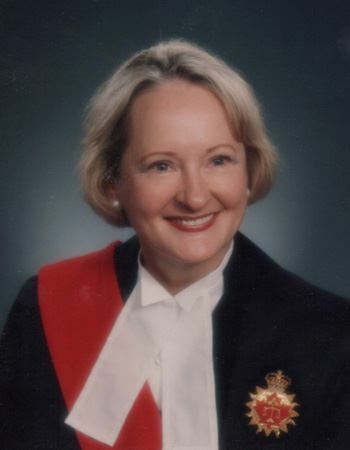 She was a superior court judge in Canada at a time when only 3% of judges were women. Not only was she an impartial arbitrator over criminal sexual assault cases, but she witnessed first hand the slights faced by women who challenge the status quo. Marie talked about scrutiny, critical parsing of words and terms, stereotypes foisted on women at trial, societal patterns, social & physical pathology, an adversarial system with rigorous cross-examination, and myths. If this sounds heavy, it was, but Marie was also able to inspire us. It all comes down to women being entitled to fully participate in life. Vote – Become Educated – Fight the Good Fight! There was a very robust question as the audience used this opportunity to glean answers from a highly educated and successful woman who was (and is still) a ‘dedicated crusader for social justice and reform of family law’, who sat through the dramatic tapestry of cases inside her trial room and came to TBOWIT share her life lessons with us. I know that we here in the U.S. think that Outback’s Bloomin Onion® is downright delicious, but does the Bloomin Onion translate across cultures? 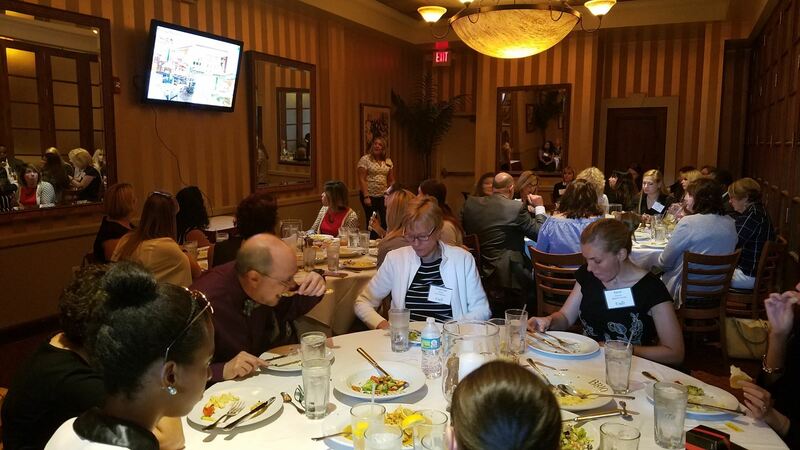 The short answer is “yes”, but if you missed Kim Van Heuvelen’s August 24th presentation you missed learning how Bloomin’ Brands has translated the Outback menu, restaurant, and the idea of steak across the world. Ms. Van Heuvelen is the Manager of International Operations and her many passports are proof that Outback has been translated far and wide. Kim walked us through three examples of Outback overseas: China, Saudi Arabia, and Brazil. We learned about menu innovation & localization, restaurant design variations, cultural & diversity adaptations all in the name of introducing a “new” culture of food. Kim had some really great examples. Too many to list in this article, but here are a few. We learned about China’s fast moving culture which affects restaurant design, the revised menus of Saudi Arabia which also factors in Ramadan, and how Brazilians love their frozen beer mugs, Baby Back ribs on the Barbie, and Nutella on their Chocolate Thunder from down Under dessert. Kim also incorporated how Outback hires for each country and when they use in-country experts. 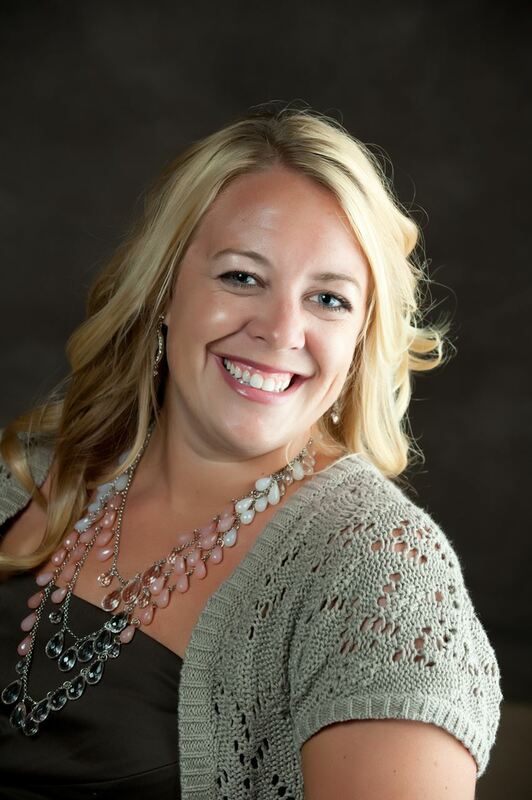 Kim started off her career in an Outback restaurant and has grown within the company as the company has grown around the world. Her knowledge of restaurant operations was obvious. As her many passports prove, Kim knows her Bloomin’ Onion and together with the rest of the International Team at Bloomin’ Brands, has learned how to introduce that flavor to many different countries and in turn adapt the Outback experience to local flavors. What a mouthwatering and eye opening presentation Kim gave! Have you ever listened to someone and thought, “Wow, he/she knows his/her stuff!” The audience at April’s TBOWIT luncheon thought this of presenter Andrew McIntosh, Co-founder of Cross Border Partners Advisory Services and Partner at Shumaker, Loop & Kendrick. Mr. McIntosh being Canadian and working on Canadian projects keeps abreast of all things Canadian even spending time with the Canadian ambassador to the U.S.
Canada is the United States’ largest trading partner? Canada and the United States have the largest unprotected border? Canada and the United States have the most integrated relationship in the world? The U.S. and Canada are strong allies joining forces on war efforts, drug trade, humanitarian aid, and more! 2/3 of Florida strawberries start off as baby plants in Canadian greenhouses. Mr. McIntosh had more examples of the shared values and integrated systems, but it’s too much to write here. Having such close ties between these two great countries, how does the Canadian government and Canadian people view the first hundred days of the Trump administration? According to Mr. McIntosh there are three areas of concern: NAFTA, border tax adjustment, the buy American policy. NAFTA does need updating since it’s 20 years old and Mr. McIntosh is relieved to hear that President Trump said just the day before that he looks forward to re-negotiating the deal. On border tax, Mr. McIntosh repeated what the CEO of FedEx said which was in paraphrase – this would create a trade war instantly. He followed up by saying that a border adjustment tax is really a tariff in disguise which isn’t needed since, as he gave quite the number of examples, the playing field between Canada and the U.S. is very fair. As far as the ‘buy American policy’ which is also termed a domestic content mandate, Mr. McIntosh would not want to see this play out as it creates an artificial world. Not only does it create an artificial world, but it harms established vendor/supplier relationships that are working really well. A program of this nature also leads to more red tape and high costs as an administration has to designate people to monitor business deals. Canada doesn’t have a ‘buy Canada’ program. Mr. McIntosh hopes that President Trump succeeds as the relationship between the two countries is so strong and so integrated. Mr. McIntosh is impressed by the cabinet that the President picked saying that the people chosen are strong leaders. Mr. McIntosh sees a role that Canada can play in President Trump’s plan to improve U.S. infrastructure. Canada is very good at public/private partnerships. No matter what the future holds for Canada/U.S. relations, we are better for hearing Mr. McIntosh’s insights and point of view. Mr. McIntosh fielded many questions from the audience and had more to say, but you’ll have to come to a future TBOWIT meeting to touch base with him. As a 2017 speaker, the TBOWIT Board gave Mr. McIntosh a membership to the organization. Now we can boast of one more subject matter expert among our numbers.